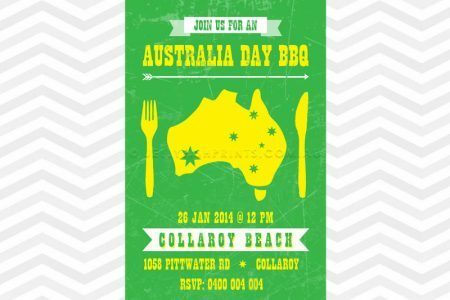 A Print it yourself Green and Gold Australia Day invitation. The sporting colours of the National Australian sports teams have been incorporated into these party invitations in lieu of the often used blue and red. Features the map of Australia and the Southern Cross stars from the National flag. A unique invite that can be customised with your details. 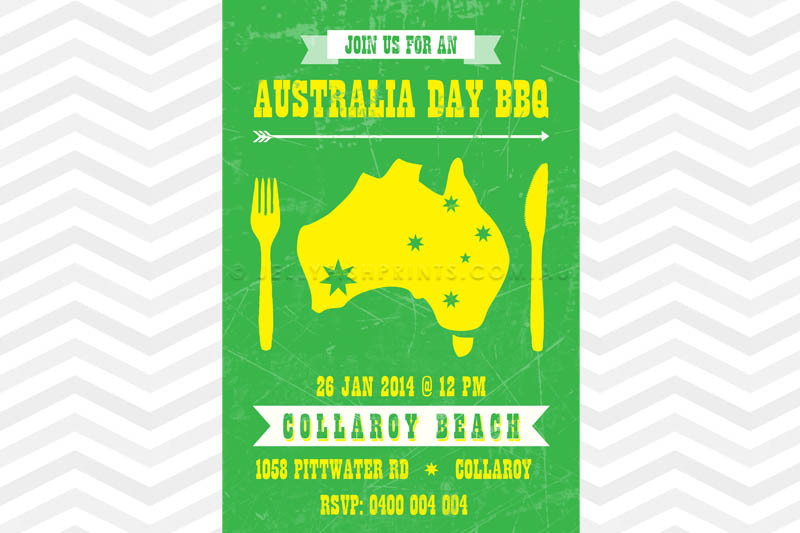 Green and Gold invitations for an Australia day bbq, pool party or backyard get together. This is a variation of our patriotic blue and red styled invitation. We have created a poster style invitation and incorporated a couple of Australian elements like the national flag and a plate the shape of the map of Australia. The colors can be changed if wish as well as the wording. Print this Australia day invitation or send it off as an email to your guests. Any extra party information can be included in the ‘Extra Infromation’ box. See also the blue and red invitation here.